Study with Springboard Master Teachers: Artistic Director: Alexandra Wells, Ami Shulman, Bobbi Jene Smith, Or Schraiber, Elia Mrak, Sidra Bell, Troy Ogilvie, and VIM VIGOR. Acquire the skill sets needed for the current job market in this 10 day workshop. Techniques include Contemporary, IMAGE TECH©, Ballet, Flying Low, Floor work, Contact Improvisation, Improvisation, and Process. Photo by David Gonsier. Rehearsal with 2018 Springboard Emerging Choreographer Mark Caserta. 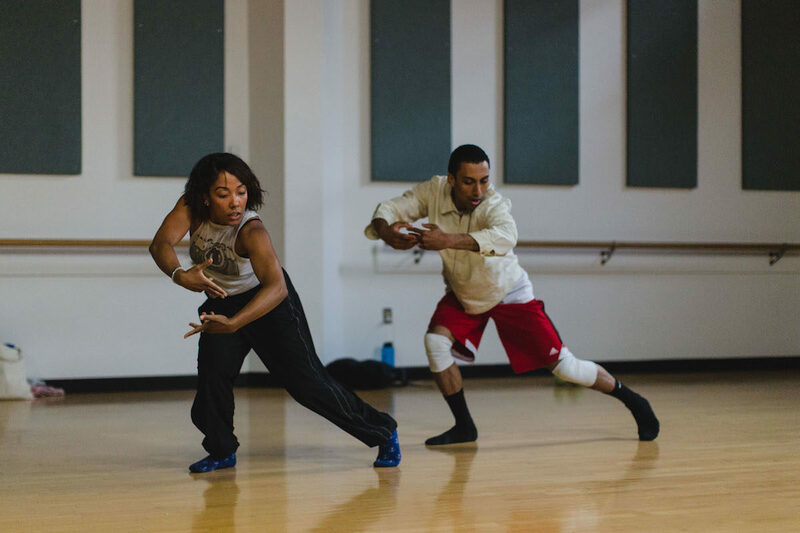 Featuring Springboard dancers Livona Ellis & Morgan Brobrow-Williams.